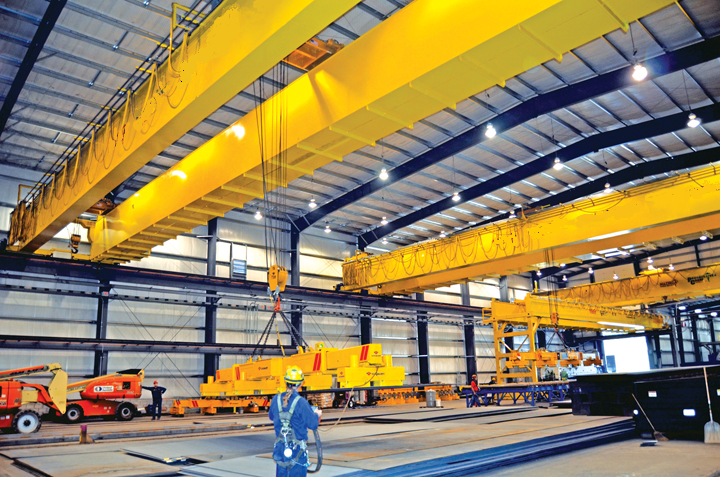 POWERMECH™ supplies genuine Crane parts, Crane accessories for all make of EOT cranes, Gantry cranes, hoists and provide new solutions and products for material handling equipments. 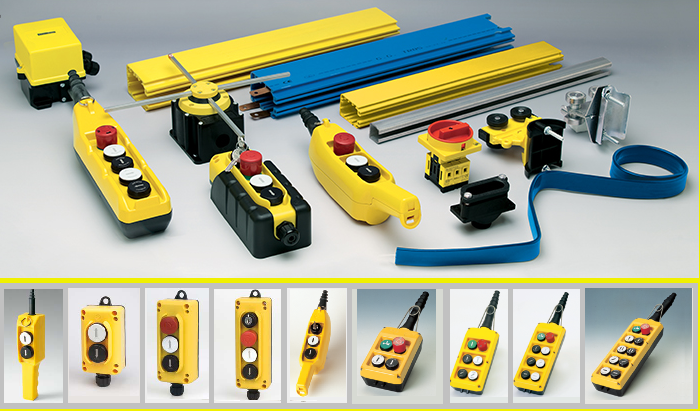 Incorporated in 1993, POWERMECH™ ENGINEERING, as a leading supplier of Crane Parts, Brakes and Crane Accessories offers quality products such as Electromagnetic Brake, Electro hydraulic thruster brake, Push Button Pendant Station, Crane Wireless Radio Remote Control, Festoon Cable Track System, Cable trolley, Cable carrier, Cable drag chain, Cable reeling drum, Limit switch, Crane hook, Resistance Box, Current collector, DSL Shrouded bus bar system, Enclosed type Insulated conductor bar system, etc. Powermech Engineering has also been indulged in manufacturing, supplying and wholesaling of highly qualitative Crane Parts and Accessories. Our offered range is produced in compliance with the quality guidelines and industry parameters, thus assuring quality performance. Our Customers are EOT Crane Manufacturer, Cement industry, Chemical industry, De fence, Heavy Industries, Foundries, Mines, Power Plant, Ports, Paper and Pulp producers, Pharmaceutical industry, Railways, Steel Manufacturers, Shipyard, Smelters, Steel Mills and all Engineering Industries. Electromagnetic BrakeEMCO Simplatroll type 14.458 Spring applied Fail Safe Electromagnetic DC brake is designed to perform holding as well as emergency stopping functions (Normally On), making it particularly well- suited for brake motor applications. These brakes are electromagnetically actuated with two friction surfaces on a single disc. The braking power is applied by means of compression springs. The braking torque is generated in the no power or in event of power failure condition. These brakes are having torque up to 5000 Nm. Brake are available in various version as per application. Special brake with micro switch, tacho mounting provision, centring flange etc. can be also supplied. Brake is also available for low temperature (-40°C) application. Emco Simplatroll Spring applied fail safe DC brake type / model is supplied in model such as 14.458.06, 14.458.08, 14.458.10, 14.458.12, 14.458.14, 14.458.16, 14.458.18, 14.458.20, 14.458.25 for different torque. • Non asbestos friction linings on twin surfaces. • Spare Brake disc with liner (ROTOR), Coil, Rectifier (DC Converter) are supplied on request. Electro Hydraulic Brake With 18kg ThrusterMILL DUTY TYPE (MDT) THRUSTOR BRAKES WITH CAST IRON BODY 18kg THRUSTERSElectro Hydraulic Thruster Brake is used to retard the speed of moving machinery and to stop it accurately to the desired position. The breaking force is applied to the brake shoes by a pre—stressed compression spring. Electro Hydraulic ThrustersElectro hydraulic thruster is a device which develops linear thrust (force) required to operate the desired mechanism. The Thrusters are widely used to actuate thruster shoe drum brakes, commonly used in EOT cranes, Gantry cranes, Overhead cranes, hoists and material handling equipments. Thruster is supplied in Cast Iron body as well as Aluminium die cast body to suit all make of cranes. Electro Hydraulic Thruster is supplied to suit various make of cranes such as Amsak cranes, Apex cranes, Atlas cranes, Avon hoist, Electromech cranes, Esquare cranes, Grip cranes, INDEF cranes, Intelle cranes, K2 cranes, Kone cranes, MM engineers cranes, Krans Cranes, Magna cranes, NE cranes, SL cranes, Sri Pranav cranes, Sun cranes, TAK cranes, Unitech, Viralishanmuga cranes, WMI cranes, etc. Also, Electro Hydraulic Thrusters and Brakes of various make such as Speed-O-Controls, Speed-N-Systems, Strom kraft, Electromag, Sterling Controls are supplied. AC Solenoid BCH Brake CoilPowermech offers Brake coils for Bhartia Culter HammerBCH AC operated Solenoid Brake used in for Cranes, Hoists, Machinery, Mining machineries, Marine, Machine tools, Earthmoving and wet and dry applications. Indef Hoist BrakePOWERMECH supply original Brakes for INDEF Hoist / Hercules Hoist, both AC and DC operated brake for Wire rope operated hoist and chain operated hoist. Brakes for Compact wire rope hoist Model – HW, Medium duty Wire rope hoist Model – WRH NO/N WRH NO-HL/N-HL, Heavy duty wire rope hoist Model – WRH-I, II, III, Higher lift wire rope hoist, Steel mill duty wire rope hoist, UR Series Wire Rope Hoists, All purpose chain electric hoist Model – HC, Medium duty chain electric hoist Model – Baby, Chain Electric Hoists Model – CH-III, Chain Electric Hoists Model – CH-IV, Chain Electric Hoists Model – GC Series POWERMECH offers Original AC Electromagnetic Fail Safe for Hercules Indef Hoist Brake for Compact wire rope hoist Model – HW, Medium duty Wire rope hoist Model – WRH NO/N WRH NO-HL/N-HL, Heavy duty wire rope hoist Model – WRH-I, II, III, Higher lift wire rope hoist, Steel mill duty wire rope hoist, UR Series Wire Rope Hoists.